What medical problems can we help? We treat patients that other programs turn away or are not comfortable treating. We welcome patients who have medical problems such as hypertension, diabetes, cholesterol, endocrine disorders, POCS, strokes, heart attacks, menopause, perimenopause, autoimmune diseases, rheumatoid arthritis, sleep apnea, diabetes Type I and Type II, as well as patients who are on high doses of insulin, or cancer survivors. These patients do well on the HCG program, a modified HCG program, or a diet designed around their particular medical condition If the program is followed correctly, all indicators of health can improve. These patients respond well to diet and exercise. They have more energy, an increased sense of wellbeing, improved lab work, vital signs, and lower BMI. 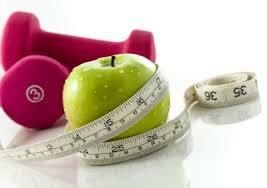 I cannot think of any medical condition that does not improve with the loss of excess weight. You are seeing a specialist trained in weight loss. Dr. Davidson welcomes these patients because he is trained to treat them. He is a Diplomate of the American Society of Bariatric Physicians, and has taken post-graduate courses with the American Society of Anti-Aging Medicine and The Society of Functional Medicine. If you would like to find out more about these programs, please contact Dr. Davidson for a free consultation. 2016 © Davidson Medical Wellness. ALL Rights Reserved.